Come to the Haverford Music Festival, but leave your car and any parking worries behind! The best way to get to the Festival is to walk or bike. 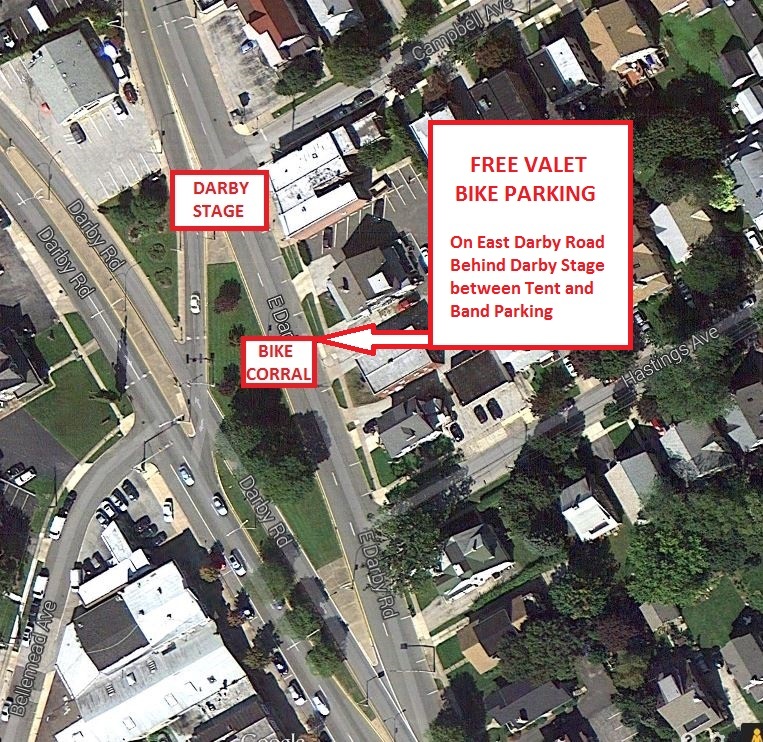 Use secure and free bicycle “Valet Parking” provided by Friends of Haverford Trails volunteers. Contributions to the Friends mission of improving bicycling and walking conditions in Haverford are always appreciated, but not required for parking. This year the Bike Parking Corral remains on East Darby Road, between Hastings and Campbell avenues. You can also choose to “self-park” by locking up to the fence behind the school building on East Hathaway Lane. If you are planning to stay after dark, don’t forget your lights!